One of the things I enjoyed the most when researching my cowboy was looking at old paintings and photographs of the West. My hero, Luke Hayes, hails from the Grand Teton Mountain area of Wyoming. This part of the country was discovered way back, about the time when Lewis and Clark were exploring the west. In fact, the 1807 discovery of Jackson Hole Valley is credited to a man named John Coulter, who was on the Lewis and Clark expedition. 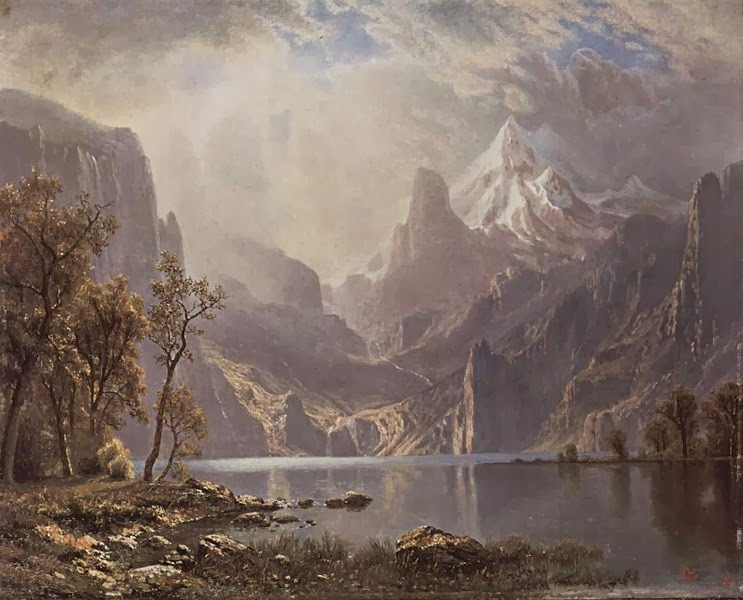 While it would be another 65 years before any settlers laid claim to the Jackson Hole and Teton Valleys, numerous painters and photographers helped to record this scenic area. Albert Bierstadt was a German-American who painted brilliant landscapes of the American West. 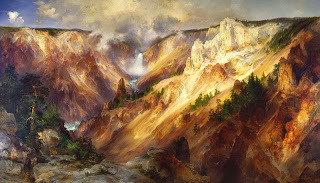 He has beautiful canvases of The Jackson Hole Valley, Lake Tahoe, Yosemite, and Sierra Nevadas, among other things. 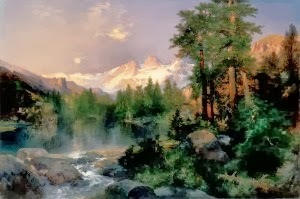 Thomas Moran was another painter who focused on western landscapes, particularly those of the Rocky Mountains. 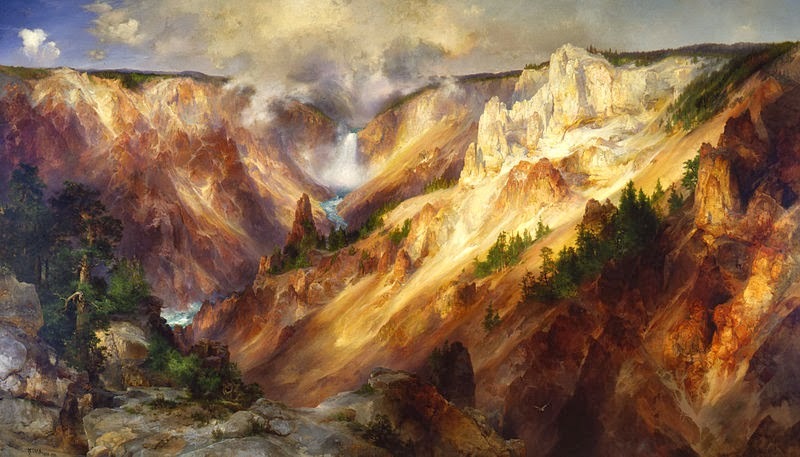 His work is credited with helping to preserve Yellowstone as a national park. 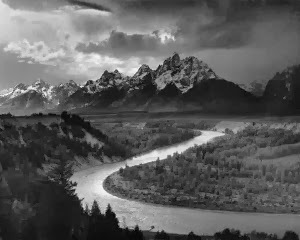 Ansel Adams was a photographer, not a painter, and one who lived during the twentieth century. 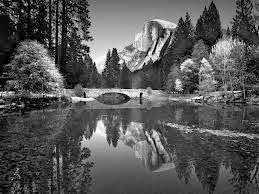 Even so, his black and white landscape photographs have gone far in acquainting the American people with the majestic views of the west. 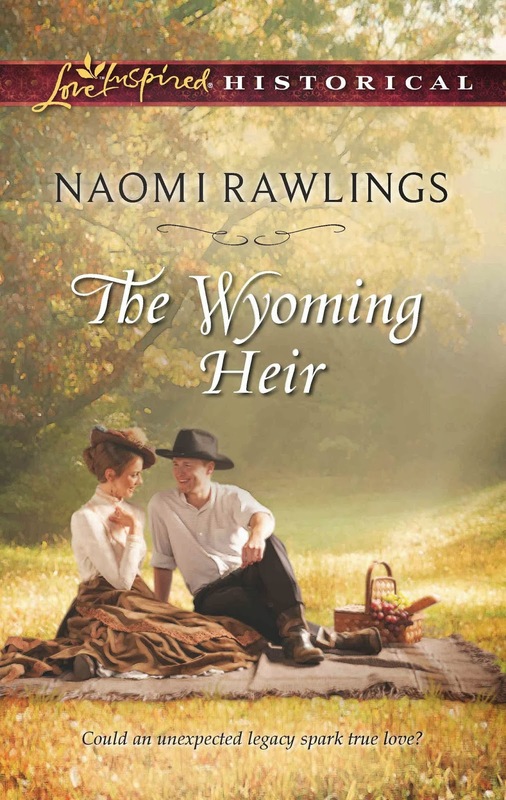 From the images above, you can see why I had such fun writing about a character who lives in the shadows of the Teton Mountains. What about you? Do you have a favorite place in the western United States? What's the most beautiful place you've ever visited? Given a choice, Luke Hayes wouldn't ever leave his Wyoming ranch. Yet when his estranged grandfather dies, leaving him everything, he'll travel to Valley Falls, New York—but only to collect his sister and his inheritance. He won't be roped into saving a floundering girls' school, no matter what mathematics teacher Elizabeth Wells says. Elizabeth has defied social convention and her own family for the sake of her beloved Hayes Academy. Luke is pure rancher, from the tip of his Stetson to the scuff on his boots, yet he's also becoming her unlikely ally. Only he can help save her job and school…but how much will she lose when the time comes for him to leave? 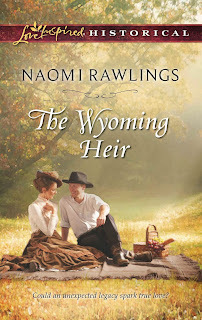 For more information about Naomi Rawlings and her books, visit her website at www.naomirawlings.com. I've never been to Yosemite or Glacier NP, but I'm sure they're lovely. You seem very blessed to have visited so many fabulous places! My favorite mountain range is the San Juan mountain range in Southwestern Colorado. Near Silverton, Co., those mountains are majestic and beautiful. No place like the mountains! I absolutely loved Wyoming when we visited there. We spent a week in Sheridan doing mission work then traveled to Jackson Hole. The Tetons were a sight to behold. Jackson Hole was such an interesting town, and I bought a painting of the Tetons so I could revisit them whenever I looked at it. We also traveled through Yellowstone and I've never seen such magnificent scenery. I want to go back there. Thanks for the great pictures and bringing back wonderful memories. Sounds like you had a lovely time, Martha! Hi Naomi, congratulations on your new book. The cover is delightful! There are so many beautiful places in the west that it's hard to pick just one. I love the Tetons, of course, but it's hard to beat Utah's Bryce and Zion national parks. Now you've given me the travel bug again! Loved the beautiful photos. 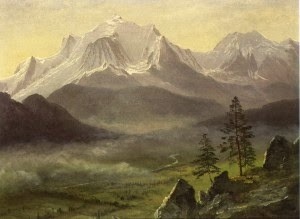 I hope to visit the Grand Tetons one day. One of the most impressive places I've visited is Niagara Falls. The sheer power of all that water can't help but impress you. One of the most beautiful was the Rocky Mountains. Another impressive place was in Israel at Masada. We watched a laser light show, but right before it started, they turned off all of the lights. It was the first time I'd ever seen the night sky with absolutely no lights around. So majestic--and so many stars. Wow, Vickie. It sounds as though you certainly do travel a lot. Niagara Falls are indeed beautiful! I am living in the foothills of the Rocky Mountains now. I am loving it! I love seeing the beautiful mountains in real life! The Denver Art Museum has a section of paintings and pictures of people who have pained the Rockies. I love going to look at them. I used to live in the Great Smokies, near the Blue Ridge Parkway. While I love the colors there, they don't compare to the mountains out here! I live in Canada and I lived in British Columbia, it has the most beautiful mountains and rivers and streams and everything I think. We could even see Mt. Baker in Washington state from our house. I've always wanted to visit the Canadian Rockies. I've heard they're more beautiful than the US ones, which is really hard for me to imagine!